We love to be on Instant messenger clients, because it’s fun to chat with friends and family. But, at time, it can get annoying too. Sometimes you just want to talk to just one person, a special friend perhaps, and don’t want to be disturbed by anyone else who’s online. 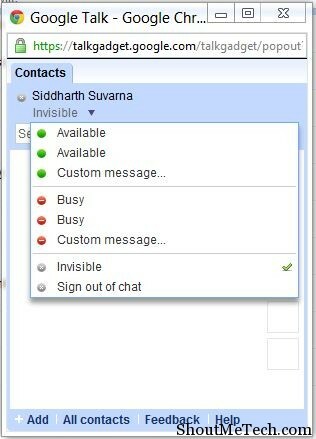 Normally, you’d use the Invisible option that’s available in almost all the instant messenger clients. However, if you’re using Google Talk client for desktop, that may not be the case because there is no way to go invisible in Gtalk. Google launched it’s desktop client for chatting to your Gmail friend way back, but ever since, they haven’t added the option to go invisible. So, why is it so important that people want to go invisible? Well, I already explained you a scenario of why people might want to go invisible on chat clients. Here, I’ll be talking about 3 different ways through which you can finally chat with who you want and stay invisible in Gtalk. Mostly, the methods involve the use of third-party and Google labs products. Below, I’ll be training you on the delicate art of going invisible, on Google Talk that is. So, if you want to stay invisible and talk to that special someone or not be disturbed by people, use one of the following methods. If you thought that there was only one version of the Google Talk client for desktop, you are mistaken. Google Talk Labs is another official Google product, but only available from labs. This version has some extra features such as real emoticons, tabbed chatting, a better interface and the ability to go invisible at will. With this version, you also get real time notifications from Gmail, Orkut and Calendars. However, going invisible is one of the main advantages of this client. 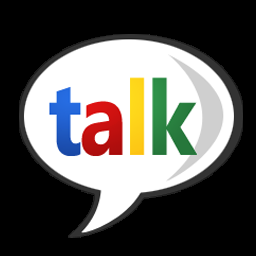 You can download Google Talk Labs from here. This version is still in beta, so you can expect bugs. 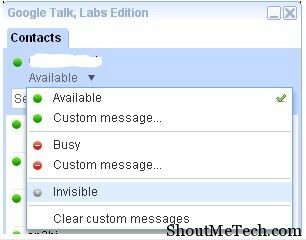 Another way to go invisible in Google Talk. This Google Talk Gadget isn’t a desktop client, but a web messenger and works great. It’s also has been officially released by Google and can be accessed by using this address: http://talkgadget.google.com/talkgadget/client. It’s just a chat only version of the client seen in Gmail, so don’t expect any other feature than the option to go invisible. We’ve already covered some of the best multi messenger clients that can be used to access multiple accounts at the same time. Most of them have inbuilt compatibility with Gmail and Google Talk. Interestingly, these multi messengers such as Trillian, Nimbuzz, Digsby etc provide the option to go invisible on many accounts, including Google Talk. Thus, you could alternatively use one of these clients instead of Google talk, so you will have the option to stay invisible. That’s all the tips that we could come up with and know of, on how to go invisible in Gtalk. But, if you’ve heard of other ways, then do let us know in the comments section.